Central Oriental rugs is a US manufacturer and importer of fine machine woven and hand-made area rugs. Central Oriental is part of the Natco Group, which is a family owned business established in 1917 and run by President Michael Litner. 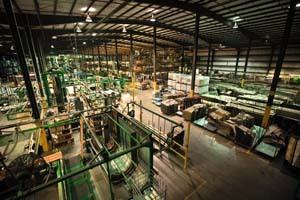 Natco is one of the largest and most respected companies in the Home Textiles industry with wholly owned manufacturing facilities in Georgia, Maine and Toronto, as well as several joint ventures in China. Central Oriental is the fashion brand for the company, who’s focus is to provide today’s hottest home fashion colors and designs at surprisingly affordable price points. Central Oriental’s greatest asset is our state of the art rug manufacturing facility in Sanford Maine called Flemish Master Weavers (FMW). With over 300,000 square feet, 10 high speed looms and fully automated packaging and finishing, FMW is one of the largest employers in Southern Maine. 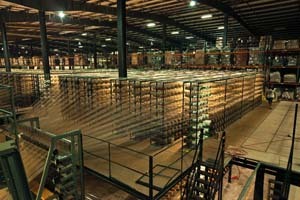 The company is continuing to grow and has planned an additional 80,000 square foot expansion. We also employ a dedicated design team that understands the US market and closely follows home fashion trends so you can be sure that our colors and designs complement today’s home décor. With demand for USA made rugs at an all-time high, the Natco group will continue to invest in equipment, technology, fashion and people. Central Oriental is proud to produce high quality rugs that are proudly MADE IN THE USA.